Web marketing means using the Internet to promote and advertise your business. Web marketing isn't confined to a single method, rather it can include email promotions, using your website as a marketing tool, and even social networking to build your clientele. Should You Be a Groupon Groupie? 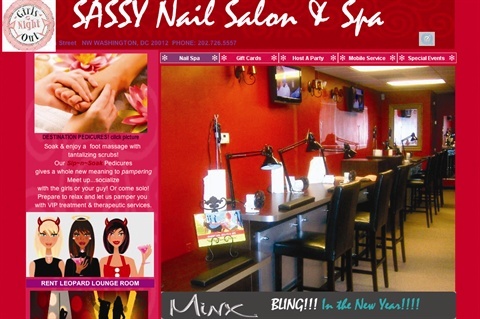 Daily deal sites like Groupon, LivingSocial, and countless others allure nail salons to advertise by their amazing reach and lightning-fast response times, but are they worth the pain in the you know what? On My Mind: Can I Google You? Today, more than ever, your clients use the Internet as extensions of their everyday lives. Week 16: Is Your Website Fresh Enough? Did you know the mysterious Google algorithm that determines your search page ranking favors websites that update their content frequently? So if it’s been a while since you’ve freshened up your site, a little tweaking may be in order; this will keep it interesting to both the search engines and to your clients. Fill empty slots in your next day's schedule by using broadcast e-mail or a telephone call-in line. You’ve got your place on the web. Now… how do you get people to go there? Using smart search-engine optimization (SEO) techniques, such as using common keywords, and updating your site are two good places to start.